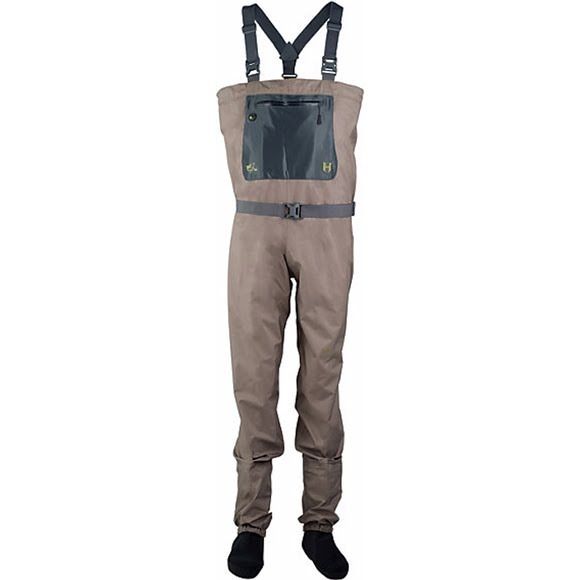 The Hodgman H3 stocking foot wader is perfect for light use anglers that are looking to keep things simple without breaking the bank. Constructed from a 3 layer breathable waterproof shell, the H3 features a mesh tippet chest zippered pocket and exit for larger leaders. Finding a wader with a fleece lined hand warmer is hard to come by at this price but rest assured we didn't skim on features. The Hodgman H3 stocking foot wader is perfect for light use anglers that are looking to keep things simple without breaking the bank. Constructed from a 3 layer breathable waterproof shell, the H3 features a mesh tippet chest zippered pocket and exit for larger leaders. Finding a wader with a fleece lined hand warmer is hard to come by at this price but rest assured we didn&apos;t skim on features. You&apos;ll even find a wade belt with center back loop to keep it from getting lost if you unbuckle it. This wader also accepts the Core INS removable zoned insulation system so you can transform your wader for cold or warm weather wading (sold separately). The liner zips in to create the one and only all-season wader available. The 3.5mm booties are designed with anatomically correct left and right feet for a custom fit, and our Comfort Fit Gravel Guard design eliminates a bulky and uncomfortable connection point on your shin.